You might have a mobile phone that says you must “subscribe to packet data”. This when you are trying to access the internet. Nokia at time gives an error 0006. 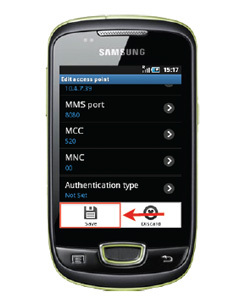 Below you will find out how to setup your mobile phone so that you do not get this error. Note each ISP or mobile phone company has its own settings. Choose APN type and tap on “Internet” —> press the left button of the phone again —> Click Save. Note that “Name” and “Username” is network specific. This is a mobile phone network in Thailand called True Mobile Networks. Yours will not be the same so check the settings below for the most common ones in Asia. This just shows you the routine but you have to use your own APN settings. Then you see that the box next to “Use Packet data” and image Data Roaming To use the Internet, select “Use packet data” and opt not to use the Internet. Choose New APN —> type “Your APN Name” In the Name —> Print “hmms” in APN. Type “(See your settings below)” in the Username —> Print “(See your settings below)” in the Password —> type “http://(See your settings below)” in the MMSC. 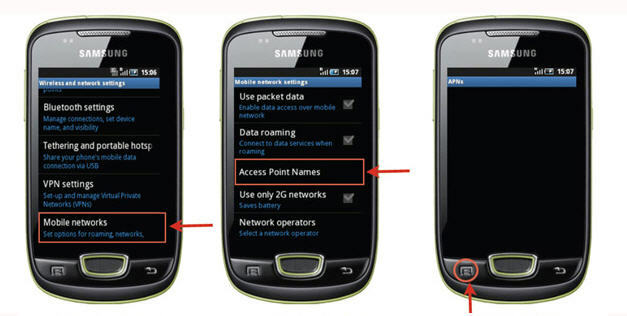 Type (See your settings below) in the MMS proxy —> type (See your setting below) in the MMS port —> Choose APN type as MMS. Click save. Now see your settings below. Thats it. You will have to call your mobile phone provider for the details as they change from country to country and region to region. In India the settings depends on where you live. 7. 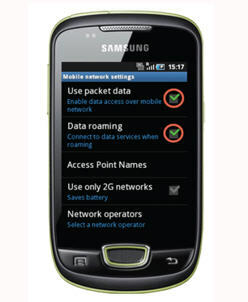 Data bearer – GPRS or Packet Data.